THE BEST PATH TO THE BEACH STARTS OUTSIDE YOUR FRONT DOOR. Imagine yourself in your dream home. We can help your dream come true. 1-866-OWN-SHEA (696-7432) sheahomes.com Communities are by Shea Homes Limited Partnership and Shea Homes Marketing Company, independent members of the Shea family of companies. Shea Homes Inc., a Delaware corporation. Sales by Shea Homes ® Marketing Company (Cal BRE#01378646), construction by Shea Homes Limited Partnership, License [#855368]. Price effective date of publication and subject to change. All plans and amenities are subject to change at any time. 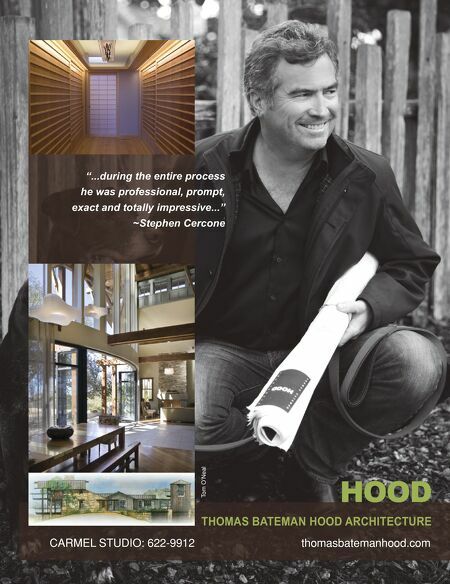 Shea Homes, 655 Brea Canyon Road, Walnut, CA 91789 866-696-7432. © 2015 Shea Homes. *Brokers must accompany prospects on their frst visit to register to qualify. To stay connected, fnd us on Facebook or follow us on Twitter. 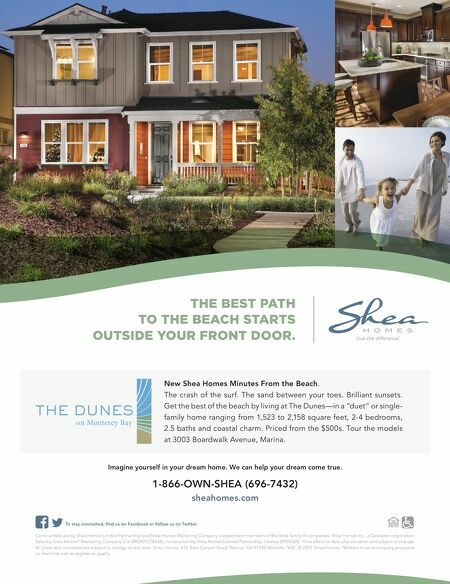 New Shea Homes Minutes From the Beach. The crash of the surf. The sand between your toes. Brilliant sunsets. Get the best of the beach by living at The Dunes—in a "duet" or single- family home ranging from 1,523 to 2,158 square feet, 2-4 bedrooms, 2.5 baths and coastal charm. Priced from the $500s. Tour the models at 3003 Boardwalk Avenue, Marina.